When we die, most of us leave behind a fairly substantial and intricate web of assets and liabilities, including money, real estate and other personal property. In most jurisdictions, there arises a tax liability upon death that must be borne from the estate of the deceased, and this can lead to a significant reduction of inheritance for our loved ones. Having said that, there are a number of ways in which this tax liability can be managed and minimized. In this article, we will look at some of the most salient ways in which one can seek to minimize their estate’s tax liability upon death, and ways in which careful planning can help increase the inheritance we leave behind. Excessive tax liability upon death usually arises through lack of proper estate planning, and the absence of experienced legal counsel. Of course, in some situations, tax liability is unavoidable, but with some careful planning and thoughtful consideration it is possible to reduce the overall tax liability to the estate of the deceased. There’s absolutely no point in making your final wishes known in a will that won’t be honored until after death if the financial repercussions have not been properly considered in light of the potential tax liability that will be levied on the estate. If you haven’t done so already, it is extremely advisable to consult an estate planning attorney to minimize tax liability upon death, avoid potential legal problems and ensure that distribution of your estate is properly managed to ensure your wishes are honored. If you intend to leave inheritance to family members of a specific quantity or nature, it may be wise to do so well in advance of your death, which may ultimately divert any potential legal challenges upon death which would give rise to tax liability. While it is not always possible to know precisely when you are going to die, making your wishes known well beforehand avoids any potential liability that might be incurred upon death. Another good way to minimize tax liability is to dissipate assets during your lifetime by way of “gifting” to friends and family. One of the most effective ways to do this is to transfer your house to your children during your lifetime, or to move the house into a trust for which you are a beneficiary. This means you remain functionally the owner, but legally, the asset doesn’t reside in your estate upon death and therefore doesn’t incur tax liability. Again, it is of great importance to ensure that the transfer is made well before death to avoid potential challenges and potential inclusion in the estate which would lead to inheritance tax liability. Death is an important phase in our lives, particularly in legal terms. The change between owning our own property and distributing ownerless property provides a range of challenges, and the controversial tax implications can cause serious problems. Without careful planning and expert assistance by a rap-rated estate planning attorney, it can be easy to amass a significant tax bill for your loved ones to bear upon your death. However, with the right direction and guidance, it can be easy to use the available strategies and relevant laws to minimize the potential tax liability to your estate upon death. If your concerns about the distribution of your estate are not addressed before your incapacitation or death, there is no way to be certain such issues will be handled correctly through probate. You need to speak with an estate planning attorney to ensure your wishes are honored. 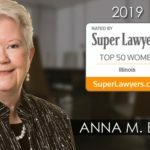 Bush & Heise is a full-service family law, estate planning and elder law firm located in Barrington, IL representing clients throughout north eastern Illinois including communities in Cook, Lake and McHenry counties. 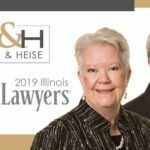 Bush & Heise is a full-service family law, estate planning and elder law firm located in Barrington, IL. We represent clients throughout north eastern Illinois including communities in Cook, Lake and McHenry counties. The information on this website is for general information purposes only. Nothing contained on this site should be viewed as legal advice for any individual case or situation. This information is not intended to create, and receipt or viewing does not constitute, an attorney-client relationship. “Brian Heise is an experienced, exceptionally thorough, hard-working, and remarkably intelligent attorney. It was a pleasure working with Brian’s team. I highly recommend the law office of Bush and Heise; they are simply the best. I’ve used Bush and Heise several times over the years…The office staff is very friendly and kept me informed…I will continue to use Bush and Heise in the future for any legal issues.